G. Jetley, 52 South Audley Street, London. 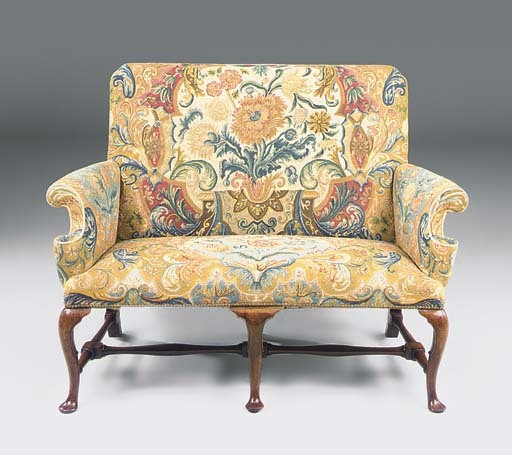 The form of the settee with its volute-scrolled arms relates to those of settees supplied for Ham House, Surrey around 1730 (P. Thornton, 'The Furnishing and Decoration of Ham House, Surrey', Furniture History, 1980, fig. 193).